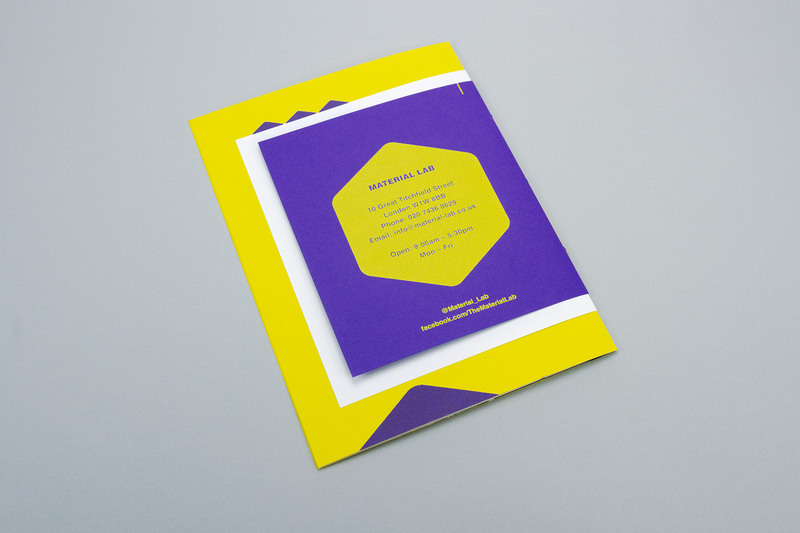 Material Lab was created by the team at Johnson Tiles, specifically for the architectural and design community. 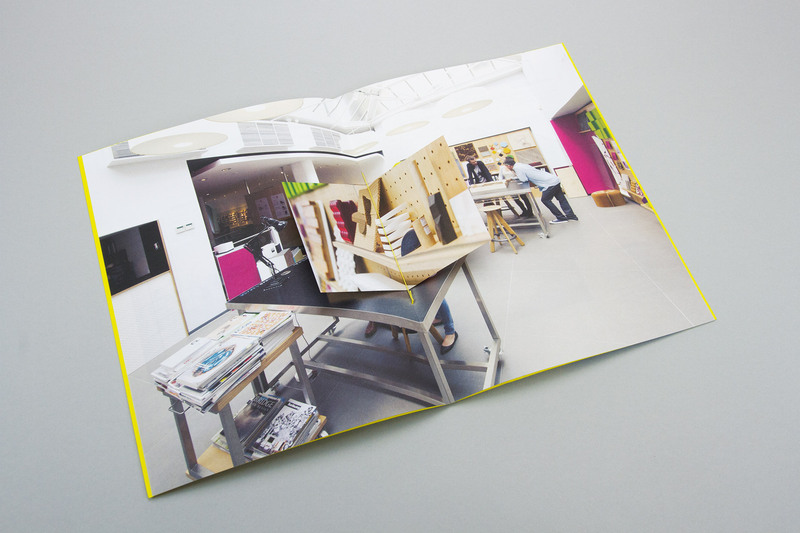 The studio acts a playful collaborative space, providing design and material resources for creative minds to tinker and explore. 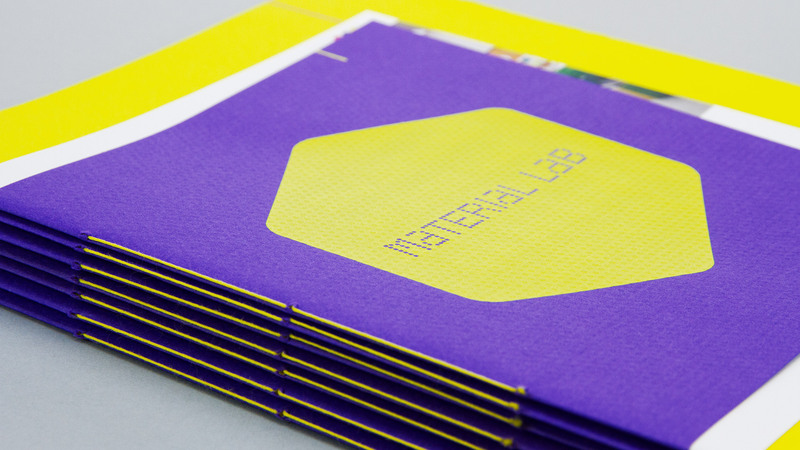 As part of the 100% Design event we created a collectable booklet to promote Material Lab, with free rein to experiment with strong colours and textures. Like kids in a sweet shop we got to use a variety of print techniques, paper stock and finishes to craft the finished booklet. 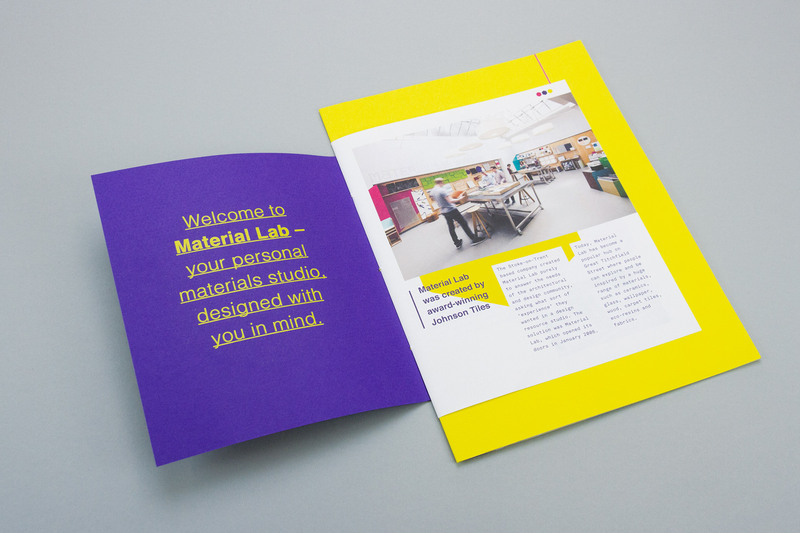 As Material Lab is a cutting-edge concept space, it was important that the look and feel of all the promotional materials alluded to this environment. 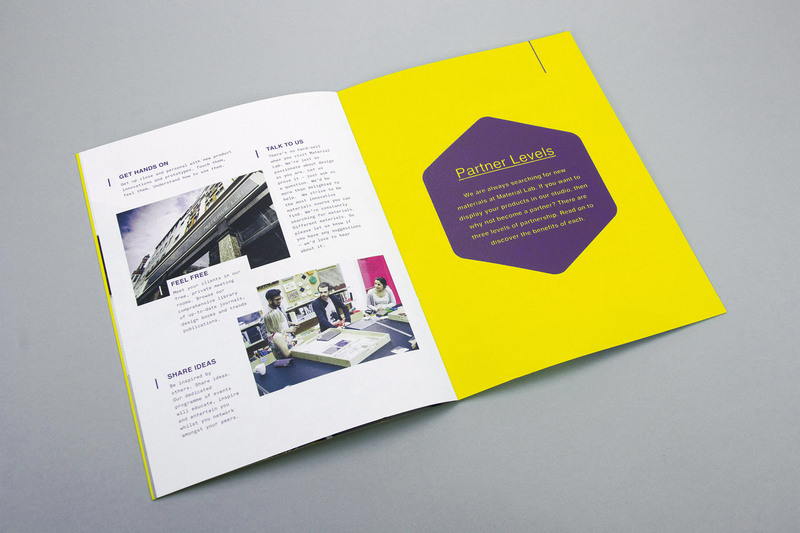 We weaved together three colour screen printing, stitch binding, irregular sized pages as well as Litho inner pages. 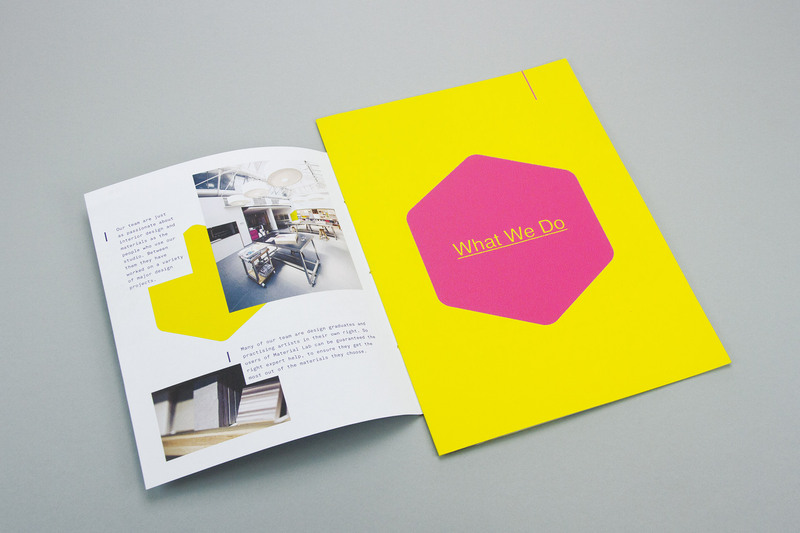 A poster insert was also designed to complement the irregular, playful pages.